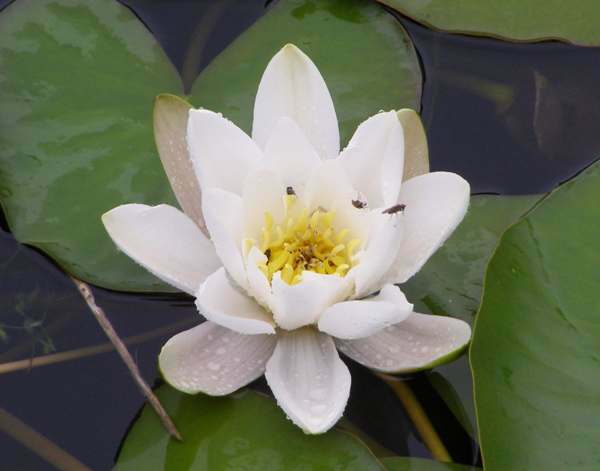 White Water-lilies, with their large cup-shaped flowers and floating saucer-like leaves, are among the best-known of aquatic wildflowers. The dark-green round or heart-shaped floating leaves are up 10 tp30cm across, while the bowl-shaped flowers, with typically 20 petals and four sepals, are pure white and have deep yellow anthers and a pistill comprising many fused carpels. A rare red-flowered variety originated in Sweden and has since been cultivated and released into the wild in some places including parts of Britain. Nymphaea alba grows in still or very slow flowing freshwater 0.3 to 1.5m deep; it is most often seen in the margins of large ponds, lakes and canals. Nymphaea alba, which is fairly common in Britain and Ireland, is native to Europe, parts of North Africa and the Middle East. 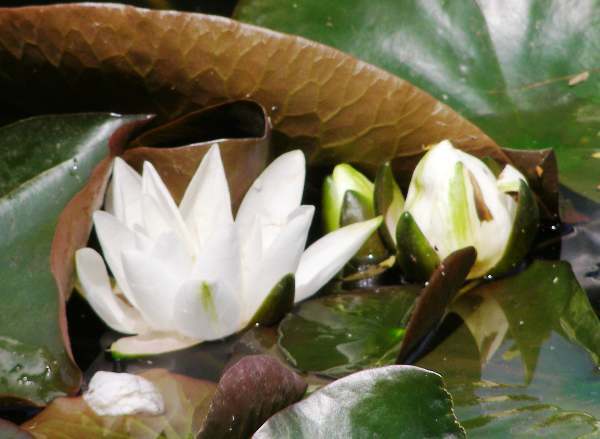 White Water-lilies are normally to be seen in full bloom in summer and early autumn. 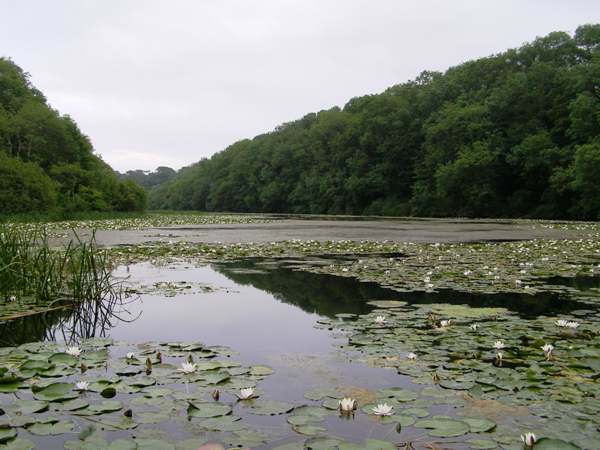 There are, in fact, several other commonly seen water lilies in ponds, lakes, canals and slow-flowing streams. Some of these are escapees from garden ponds; others, like the Yellow Water-lily (Nuphar lutea) are native to Britain.